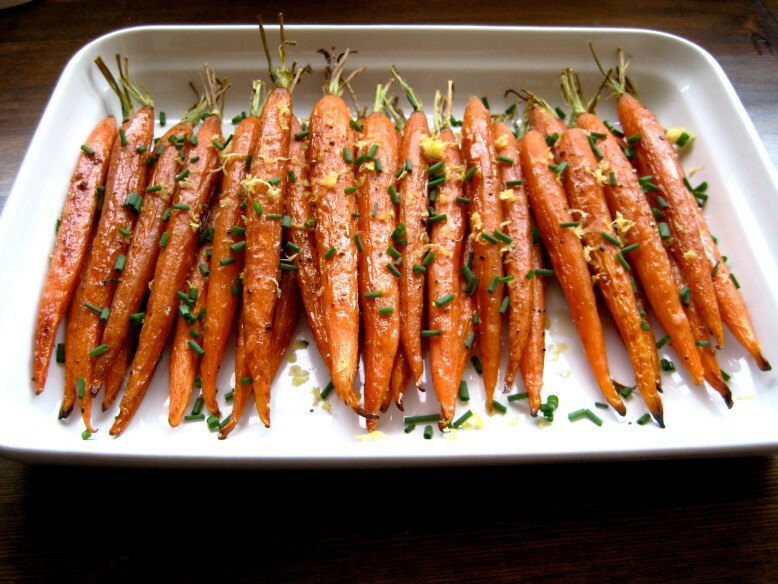 Place the carrots on a baking sheet. Toss with olive oil. Sprinkle with sugar, salt and pepper. Roast until browned and beginning to caramelize, about 30 to 40 minutes. Remove from oven and sprinkle with lemon juice, lemon rind and chives. Serve immediately or at room temperature.